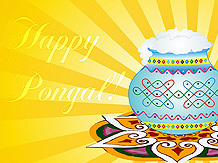 Pongal, a time for celebration, fun and merriment In this festive mood, why not let your PC or Laptop join in too, with one of our desktop theme Pongal screensaver. These savers are free, have music and will bring the festival mood live on your desktop. Go ahead, download and also share with your friends. They are all free. After you have downloaded a screensaver, surf below and download a HD wallpaper for Pongal too. Happy Celebration! 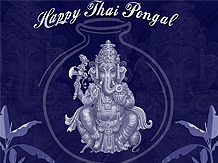 A collection of Pongal celebration images, capturing the culture and the tradition. It gives you glimpses of the event. A cultural kaleidoscope of the event, presenting you with images of the rich heritage associated with the event.